Call For Response: What’s a Good Mother, Anyway? As we gear up for the launch of the book – in less then a month!! 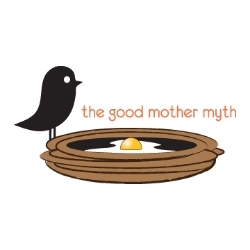 – I want to hear from YOU about what it means to be a “good mother.” The Good Mother Myth shares the stories of women across the country (and a few outside the US! ), all breaking down the concept of the stereotypical good mother. But I want to hear more! With each voice added to the collective narrative of motherhood, we are one step closer to showing how rich and diverse motherhood can be. It is not a stereotype that can be boxed up and used to pit women against each other! I’ll post a new response everyday leading up to the book’s release. Let’s take this opportunity to rise up and share more voices that cut the Good Mother myth off at the knees! I’m really good at the bad mother talk. Any of you (fathers included) who have spent any time at all hanging out with other parents or inside your own brain likely know what I’m talking about. Sometimes it’s the sarcastic, self-deprecating, but mildly humble-brag (as in, “hey, at least I’m not that super-uptight helicopter parent”) claim to bad motherhood. Other times, though, the bad mother talk is much darker and meaner. Read the rest of this piece from Good Mother Myth contributor Carla Naumburg over at her blog at Psych Central. Yesterday was World Mental Health day and a group of writers got together to create For Miriam. The idea for this Blogging Carnival was born when a struggling mother lost her life in Washington, D.C. Within a short time, there was mention of Perinatal Mood & Anxiety Disorders. At first, someone said Postpartum Psychosis. Then it changed to Postpartum Depression. Circumstantial evidence points to something much deeper than Postpartum Depression but still, the media ran with using the term Postpartum Depression. Those of us who are advocates and survivors watched as once again, the media circus ran away with the story as they always do when something tragic happens. Sensationalism sells. We are fighting back with facts about Postpartum Psychosis as well as personal stories of what a Perinatal Mood & Anxiety Disorder looks like from the inside. Just because I experienced postpartum psychosis doesn’t make me a bad mother. It doesn’t make me a monster. It is an illness and my brain was sick. The important thing is that I got well and I made it through with treatment and support. I’m now able to help others by my work as an advocate. One reason I am silent: Fear. I fear society. The courts and custody. The reaction. The judgement. But there is another fear that silences me even more. A different fear. One far more intense than the fear of others’ judgement and the stigma associated with mental illness. This fear is rooted in my experience. In the trauma of having memories so detailed and forceful that I am terrified just cracking the sky open on them. I know the disconnect you can feel once you’re holding that new life in your arms minutes after delivery and long after you’ve been sent home. I know how difficult those first few months can be, and even that first year. And I know what it’s like to need help, be in treatment, but not have anyone you can really talk to about it, no one who “gets” the upheaval your mind and well-being is in. I know what it’s like to have to make a conscious choice to fight for your life daily, and being too tired to make that choice most days. I know the stigma that comes with being sick, and taking medications. I know side effects and having to rely on meds is exhausting and at times can chip away at your feelings of self-worth, and leave you doubting your capabilities to mother, to accomplish goals and dreams…to LIVE. And check out this amazing gallery to see the faces of PPD, PPA, & PMAD survivors.